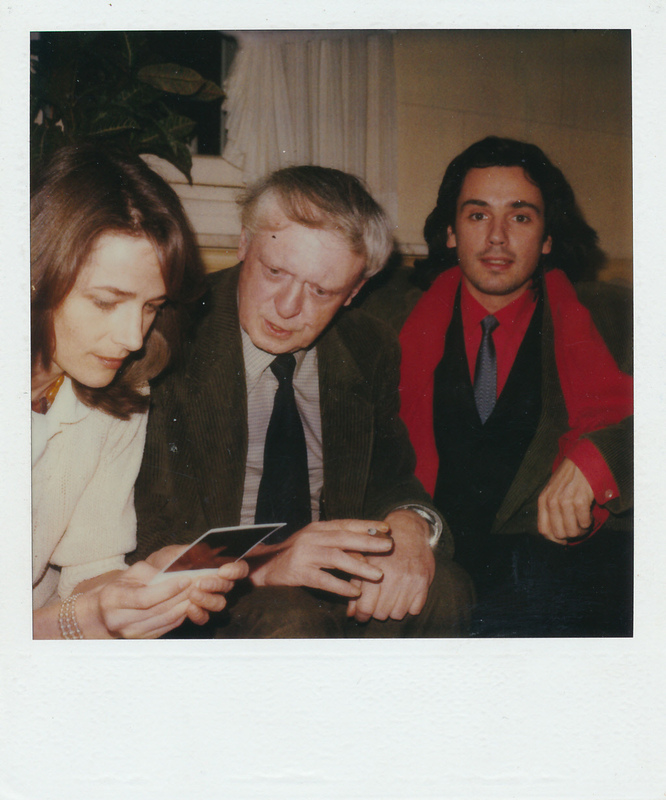 One of the more unexpected items in the photographic collection at the Burgess Foundation is a Polaroid of Burgess with the French musician Jean-Michel Jarre and the actress Charlotte Rampling. The photograph dates from around the mid-1980s, and the exact circumstances in which the picture was taken are not known. 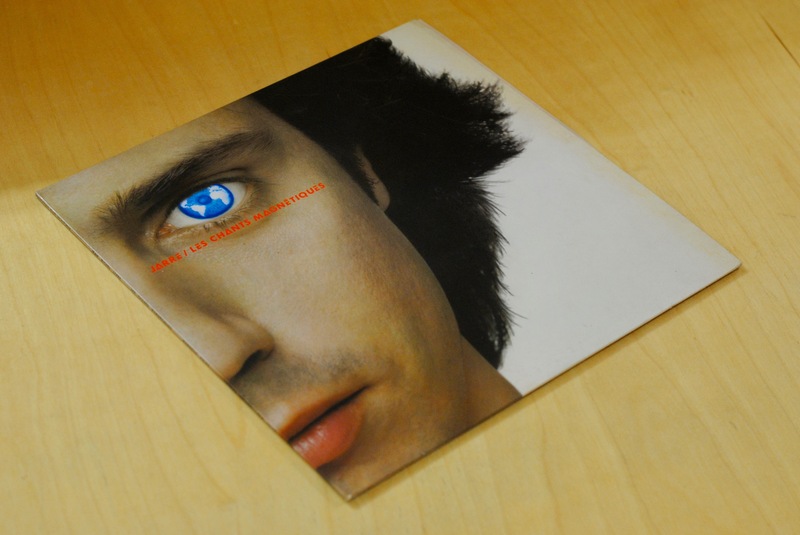 However, Burgess and Jarre maintained an artistic collaboration during this time, most notably working together on a film script titled Dawn Chorus. The script, written by Burgess, follows Tessa Rushworth, an experimental musician who blends exotic birdsong with electronic sounds to create her art. The film begins with her in a ‘tropical zone undefined’ searching the jungle for more birdsong. She is caught up in a skirmish involving guerrilla revolutionaries and crashes her Land Rover, losing her sight in the process. On returning to Britain, she resumes her work in her ‘sonic laboratory’ and is the ‘earwitness’ to a murder. She believes the murder has been perpetrated by a fascistic politician named Penninck and teams up with a writer to investigate while being haunted by visions of her crash blended with the sounds of the murder. Eventually, she regains her sight through laser surgery, though pretends to be blind to defeat Penninck with a high-pitched noise from her sonic laboratory. The script is a future-set dystopia with some strange touches: the characters eat flambéd ostrich steak and kangaroo meatballs with stuffed spaghetti. In a pub, there is a jukebox that plays no music, but emits a ‘colour symphony’ while the patrons drink futuristic semi-liquid meals. While undergoing laser surgery, Tessa has visions of a grinning soldier impaling the eye of a screaming child on his bayonet. 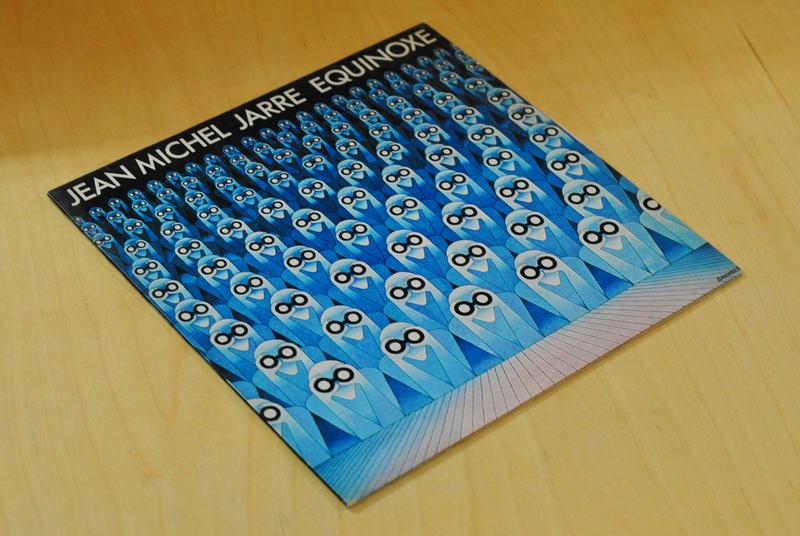 Jarre’s influence on the script can be seen in the ‘sonic laboratory’ scenes, that feature many of the electronic machines Jarre uses to compose his music. Also, when Tessa performs a concert of her music, it resembles Jarre’s public performances: her stagecraft is bolstered by a laser light show, and accompanied by ‘bizarre electronic sounds’. It is also apparent that the role of Tessa has been written with Charlotte Rampling in mind. Jarre and Burgess found kindred spirits in each other: Jarre’s father was the composer Maurice Jarre, who scored films such as Lawrence of Arabia (1962), Witness (1985) and Ghost (1990). 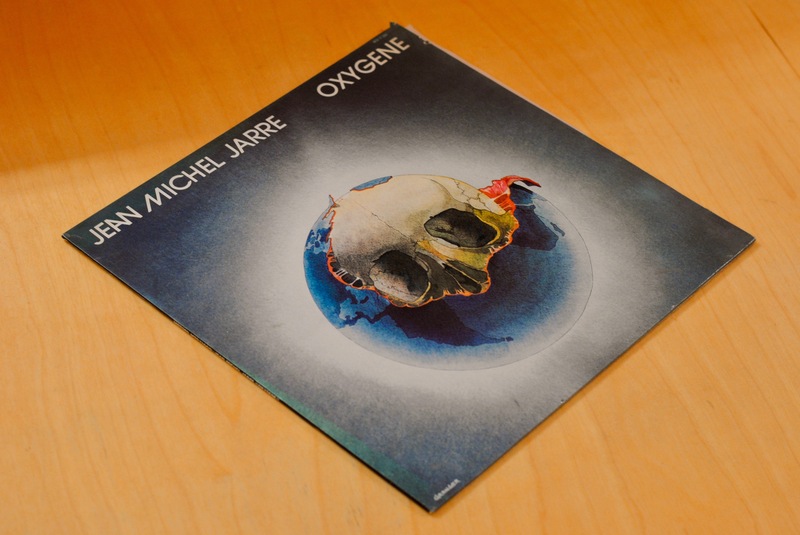 Though Maurice left the family when Jarre was five years old, the latter continued his father’s experiments with electronic music, most notably releasing the album Oxygène in 1976. 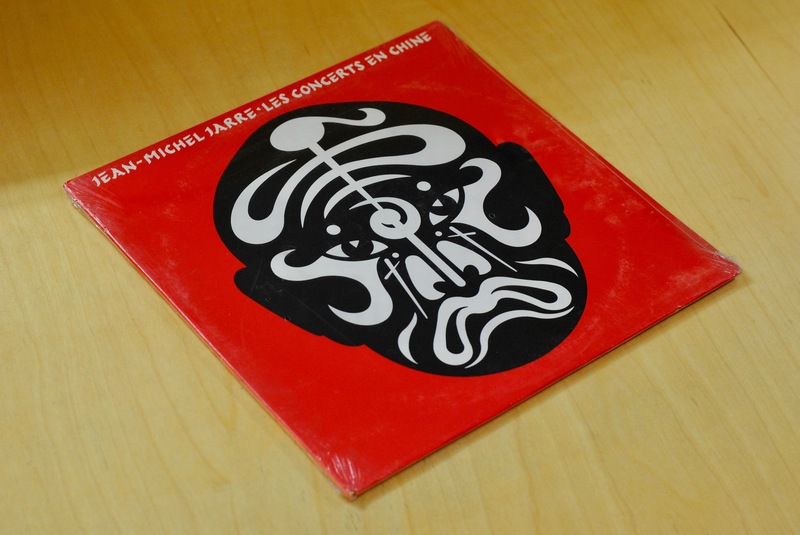 While Burgess’s tastes in music tended more to classical, it’s clear that he appreciated Jarre’s musical heritage and the experimental verve in his music: the vinyl collection at the Burgess Foundation contains copies of Oxygène, Équinoxe (1978), Les Chants Magnétiques (1981), and the live album Les Concerts en Chine (1982). Jarre regarded Burgess with great fondness. In a 2016 interview with Electronic Musician magazine, he remembers talking to Burgess about art: ‘I remember a very interesting conversation I had with the British writer Anthony Burgess, where he told me that when he was writing a novel and he had the characters that every morning they were around the table. And suddenly he was controlling them less and less until they revealed themselves as the final versions. And that’s what I feel about sounds: I am just waiting to use them like independent actors in my scenario’ [sic].